I am ready to switch directions a bit, to start examining animal behavior from a landscape perspective (an owl’s eye view?) so that I can gain skills and experience I will need to fulfill some scientific goals of mine. I feel a bit like the uncoordinated chick though, in that I am uncertain how to go through the motions to make this work. A scary time! 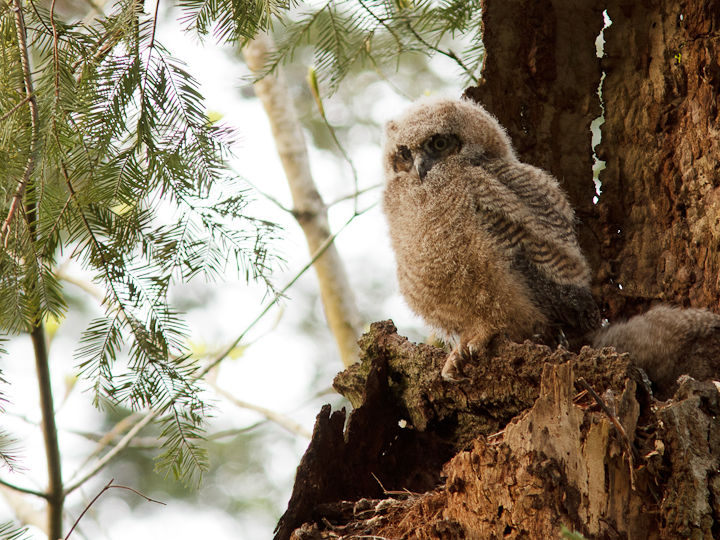 Anyway, I have done some more shooting at the Great Horned Owl nest last evening (surprise surprise) and have made some videos and pictures I think you will enjoy! First, Here is a chick getting a bit cavalier about scratching. A picture of the mother and the largest chick. The mother is considerably larger than the male, who I have never seen on the nest. 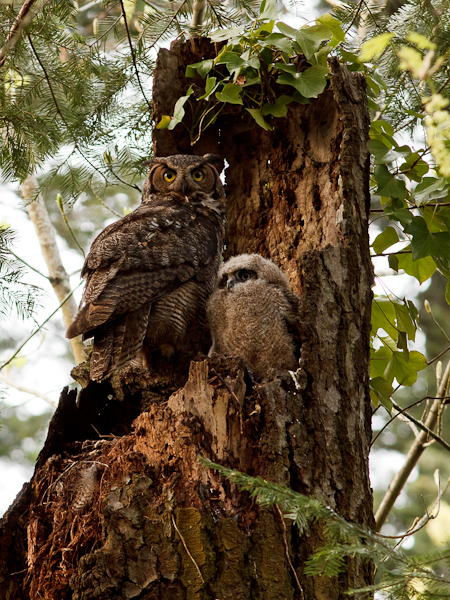 This entry was posted on April 10, 2014, in Natural History and tagged Change, chicks, Great Horned Owls, Thesis, Writing. Bookmark the permalink.